This is my favorite salad in the world. I just cannot be bored with it. You’ll see it coming here over and over again. If it wasn’t Cosi’s signature salad it would have been mine. 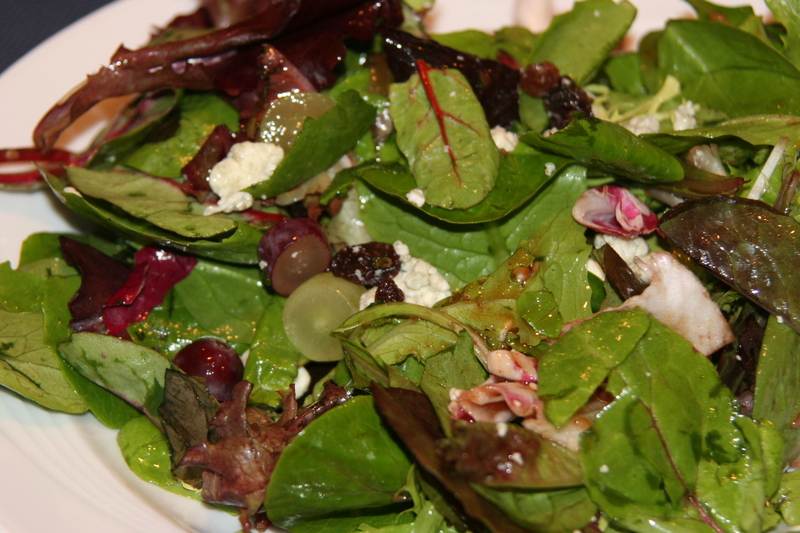 You need spring greens, raisins, grapes, nuts if you’re not allergic, blue cheese and a raspberry vinaigrette or just balsamic. It’s the combination of blue cheese with fruit and greens that’s beyond. How to make: Toss! Toss well.